You ever take a gun straight out of the box and think to yourself, “this gun doesn’t need any modifications”? Yeah, me neither. Not even with an all-around classic like Smith & Wesson’s M&P. Now don’t get me wrong. I can’t think of many guns that are manufactured as brilliantly as the M&P. It’s an accurate and reliable handgun that just happens to be really sweet to shoot. With that said, there are some aspects of the M&P that can be improved like the infamous dead trigger. This defect causes the gun to randomly malfunction after firing a shot, preventing the trigger from resetting. 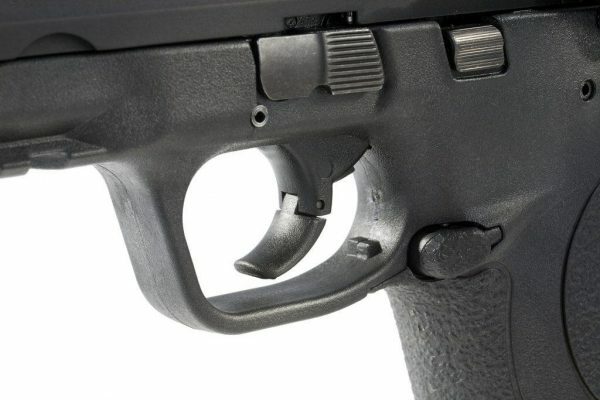 While this can be fixed with some tap, rack, bang action, having a dead trigger can be a serious problem for anyone using the M&P for self-defense. As you can imagine, this malfunction created a market for M&P fans looking for viable trigger replacements. 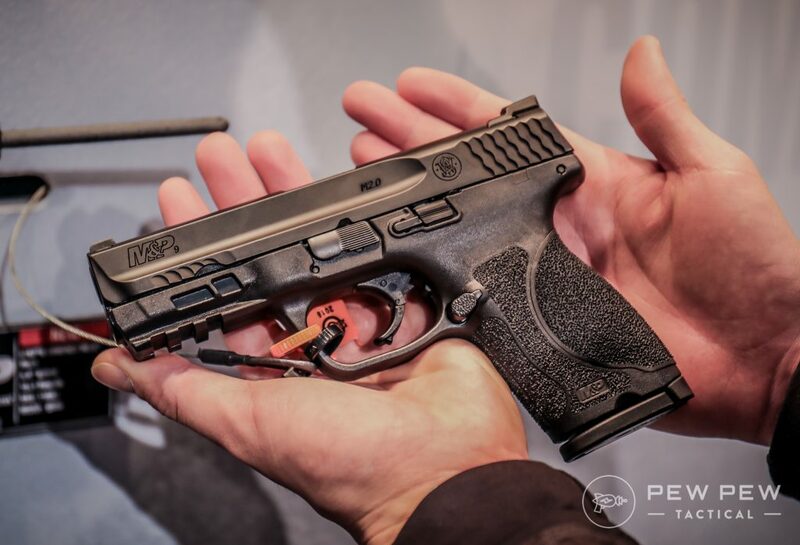 And even though Smith & Wesson fixed this problem with their 2.0 M&P line, a number of enthusiasts still prefer to aftermarket triggers to their OEM counterparts. And that’s why we’re going to look at some drop-in triggers that’ll have your M&P firing just the way you want it. If you’re looking for a good gun for personal carry, there’s not much better than the M&P Shield. This slim, lightweight 2.0 version of this pistol gives you everything you want from a self-defense weapon, including a smooth trigger system with a light trigger pull that gives you a crisp and clean break with every shot. If you’re sporting an older version of this pistol, you’re trigger system isn’t quite as advanced as the 2.0. And that’s where Apex’s drop-in trigger system comes in. The Apex Flat-Faced Action Enhancement Trigger System is an easy-to-install trigger that gives your M&P Shield a much-needed upgrade. There are three versions of this drop-in trigger available on the market, and each one comes with the same pivoting safety system that M&P pistols are known for. 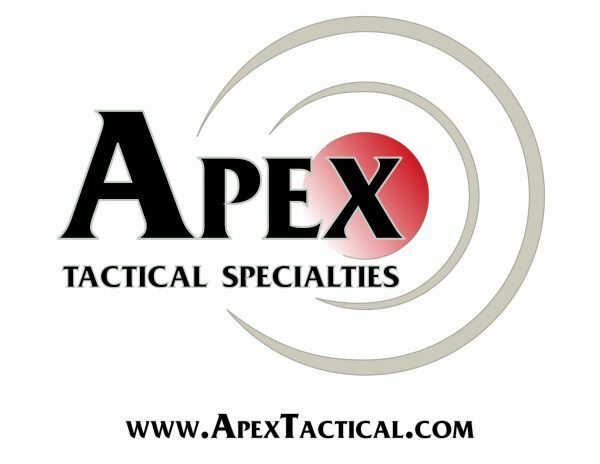 The main advantage of choosing an Apex trigger system over your M&P’s factory trigger is shootability. Apex’s triggers can reduce pre and overtravel by as much as 20%, taking two pounds off of the trigger pull and giving you a smooth shot every time. This drop-in trigger system is not compatible with the Shield 2.0 models and is designed for your 9mm and 40 S&W Shield handgun. This trigger has a solid aluminum body that is smoother and easier to operate than your factory trigger, while also reducing overtravel and trigger recent. This drop-in trigger system provides the same benefits as the Action Enhancement Drop-in Trigger, but comes anodized, giving it extra protection against the elements. Also, it’s comes in a bright red color, which is great if you’re looking to sprinkle a little bit of personality in your gun. Aside from that, it functions just the same as the other trigger – and it also is not compatible with Shield 2.0 models and only works with the 9mm and 40 S&W. Exactly the same as the non-anodized trigger, but designed for people who prefer a flat trigger shoe as opposed to a curved one. It also works with 9mm and 40 S&W versions and is incompatible with 2.0 Shield models. The AEK trigger system is a drop-in trigger that works with all M&P calibers for the M&P Compact and the M&P Pistol, but it doesn’t support Shield models. This trigger package is one of Apex’s more popular triggers. It’s designed to cut back on trigger travel while increasing accuracy and control. 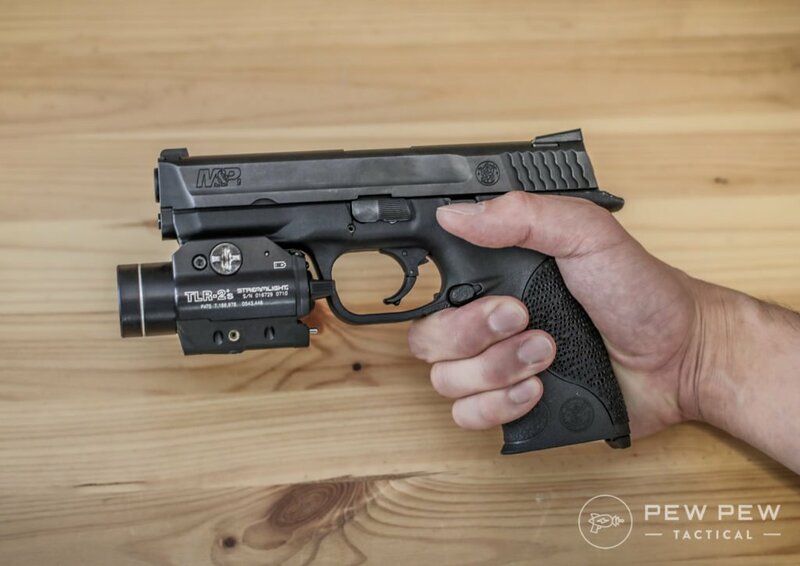 Because of its ability to increase the shootability of the M&P, this trigger configuration has been favored for competitive shooting and for self-defense. Additionally, the trigger is mad from a solid aluminum billet and given an anodized coat, making it durable enough for heavy use and extended wear-and-tear. If you’re a 2.0 owner who’s been experiencing FOMO because of all these first generation triggers, this drop-in trigger kit is just for you. 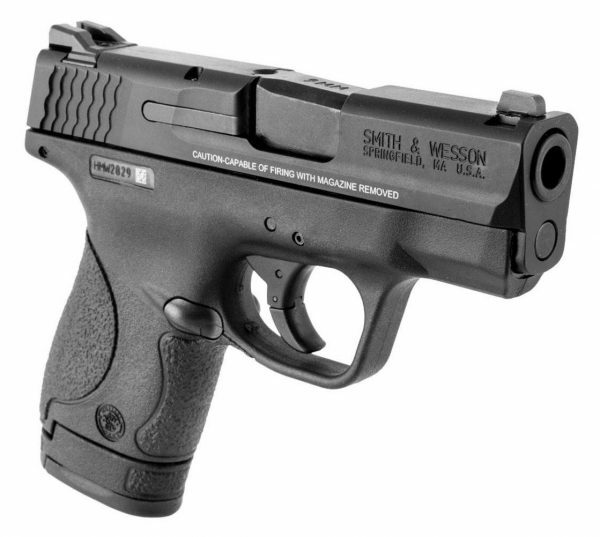 The M2.0 trigger kit works with second generation 9mm, 40 S&W, and 45 ACP M&P pistols – including the M&P compacts. And it’s important to note that this trigger kit only works with 2.0 pistols, so if you’re in the market for a new trigger for your first gen M&P then keep scrolling. The M2.0 trigger kit gives you the same advantages as the other Apex drop-in triggers. You get a durable aluminum body, a system designed to prevent overtravel, and a shortened trigger reset for when you need to make those follow-up shots. Adding the M2.0 trigger to your second generation M&P will successfully give you a clean, crisper trigger break while also reducing the pull weight by 2lbs. Looking for an upgrade on your Shield? Apex has got you covered there too with different colors, flat-faced triggers, and options for both the original and 2.0 flavors. What’s your take on Apex triggers for the M&P series? In addition to the trigger kit, Apex’s package also comes with an Ultimate Striker Block (USB) as well. While these trigger systems are drop-in, which means they don’t require any gunsmithing to install, the USB feature isn’t drop-and-go. For that, you’re going to need to take off the rear site and do some very basic gunsmithing. Agency Arms has earned the reputation of producing some top-quality aftermarket trigger kits, so it should come as surprise that their M&P drop-in trigger can turn your first-generation M&P into a shooting masterpiece. Before going into the details about this trigger system, let’s look at what it is and isn’t compatible with. If you’ve got an M&P 2.0, a Shield, Bodyguard, or a rimfire variant, this trigger system will not work for you. If you’re using a first-generation M&P model of any centerfire caliber, you’ll be able to swap out your factory trigger for a new-and-improved model. A 50% reduction in trigger travel. A smoother trigger pull and cleaner break. The trigger kit also comes with the same center-mounted pivoting safety that’s standard with your original M&P, as well as two spring kits: one with a pull weight of 4lbs and the other with a pull weight of 5lb. If you do plan on installing this trigger system, keep in mind that you’re going to need to adjust the trigger bar loop in order for it to function properly. 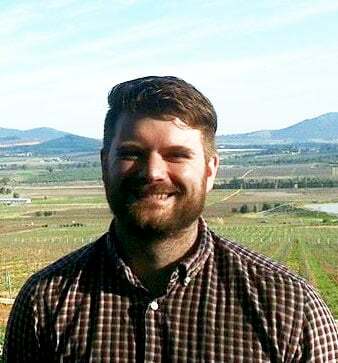 It’s a relatively simple process that you can do while you watch this 10-minute video. As you’ve probably noticed, the video is made by Agency – another trigger manufacturer – but the adjustments will be the same regardless of which trigger system you use. In the market for a new M&P trigger? This list is a good place to start. Any one of these trigger kits will help make you shoot more accurately and comfortably. The reason why drop-in triggers are great is because they require minimal effort to install. Just like their name suggests, you drop in the trigger kit, make a couple of quick mods, and then you’re ready to go. If you’re new to modding and would like to learn more about gunsmithing as a whole, be sure to check out our DIY Gunsmithing Tutorial for additional information. You might also want to take a look at our essential gunsmithing tools list to help you when you switch out triggers, install the USB, or make any other changes to your gun.